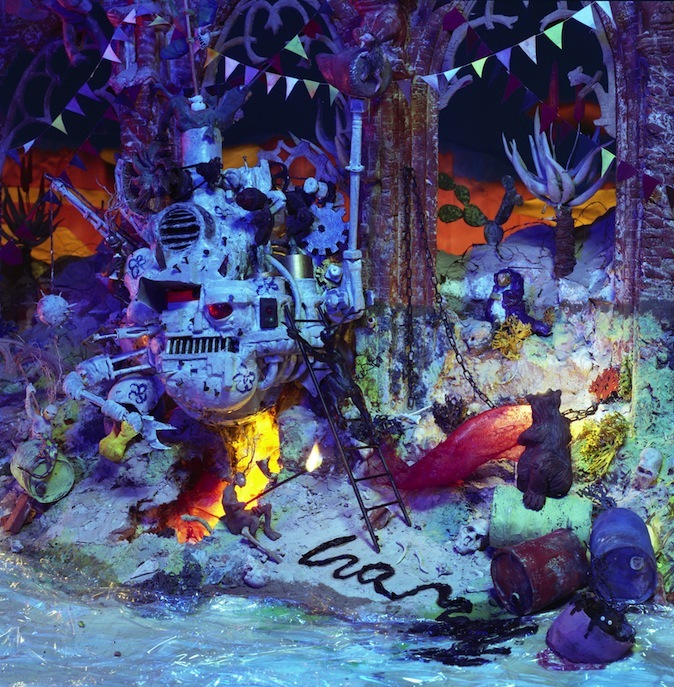 "Playing God," 2012, color c-print, 39.5x46.5 in. "Flight," 2011, color c-print, 45.25x39.5 in. "These Fragments", 39 x 48"
"After the Party" 2012, 50 x 50"
"Cow and the Big Catch," 1998, c-print, 19x17.5 in. "When Worlds Collide," 2016, c-print, size variable. "The Swing," 1995, c-print, 16.5x16.5 in. "Aphrodite," 1994, c-print, 16.25x16 in. 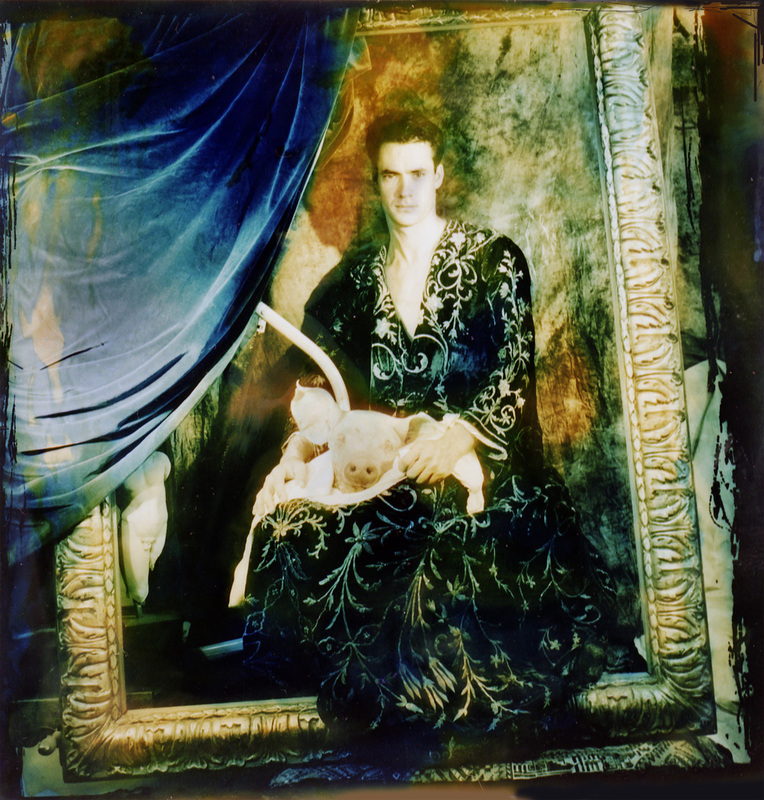 "Beautiful Sean as Judith," 1994, c-print, 16.5x16.5 in. "Candlemass," 1994, c-print, 11x10.5 in. "Eve," 1994, c-print, 18.25x16.75 in. "Icarus," 1994, c-print, 16.25x16 in. "Wedding Portrait I," 1994, c-print, 17.5x17 in. "Wedding Portrait II," 1994, c-print, 18x18 in. "Self-portrait," 1994, c-print, 18x18 in. "The Artist in His Museum," 1994, c-print, 18x16 in. "Ave," 1995, c-print, 21.5x17.7 in. "End of Summer," 1995, c-print, 21.5x17.7 in. "Lady Waiting," 1995, c-print, 21.5x17.7 in. 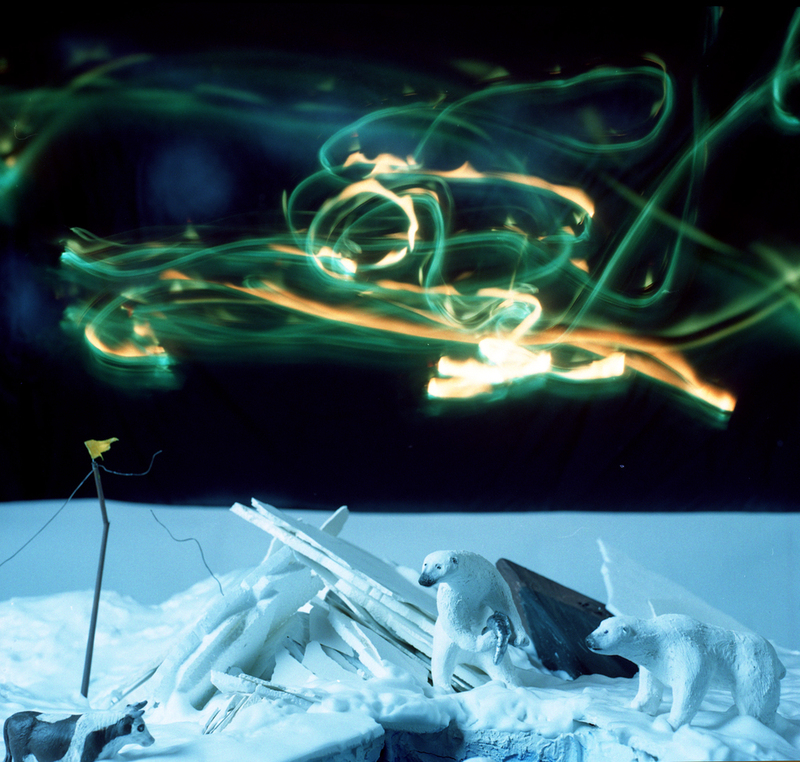 "Natural History," 1995, c-print, 21.5x17.7 in. "Stargazers," 1995, c-print, 21.5x17.7 in. 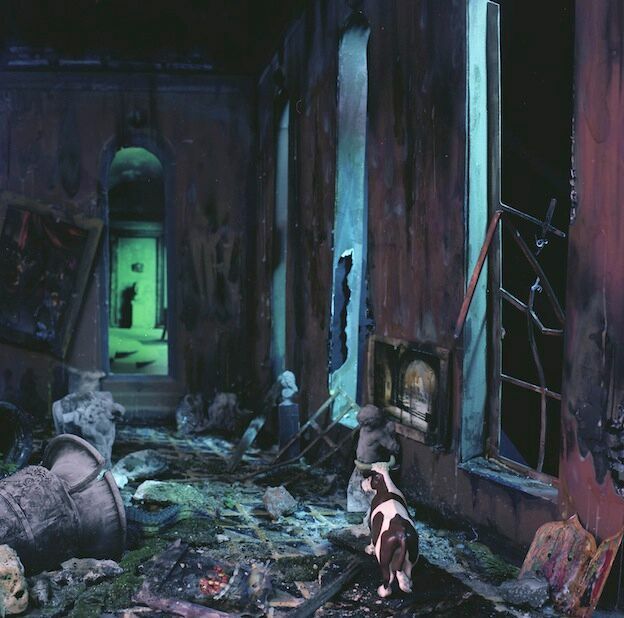 "Storeroom," 1995, c-print, 21.5x17.7 in. "The Curator," 1995, c-print, 18.8x18 in. "Desert with Head," 2000, c-print, 8.5x8.5 in. 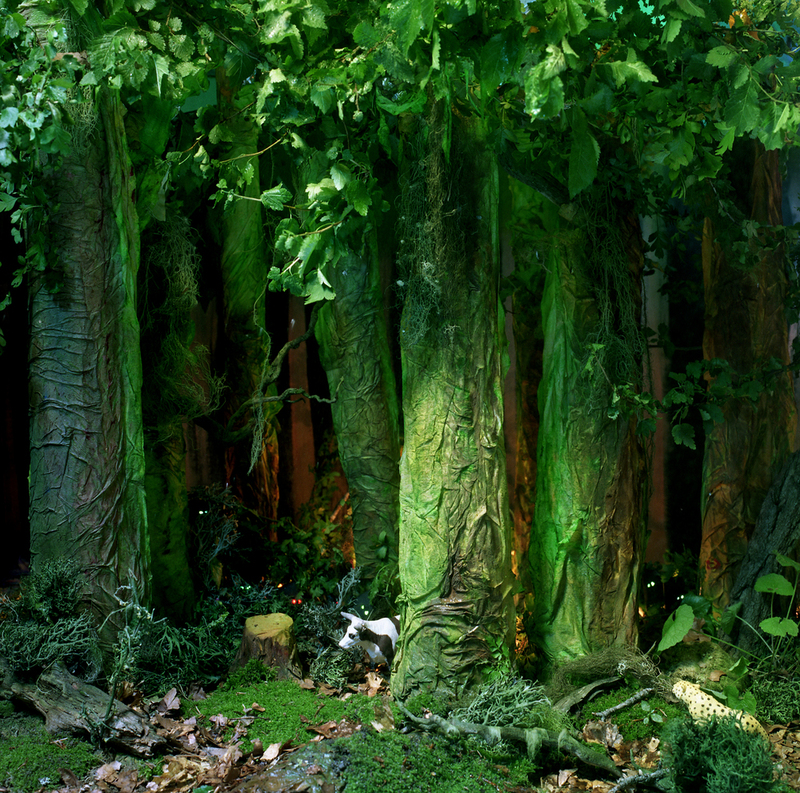 "Minotaur(green)," 2002, c-print, 18x18 in. 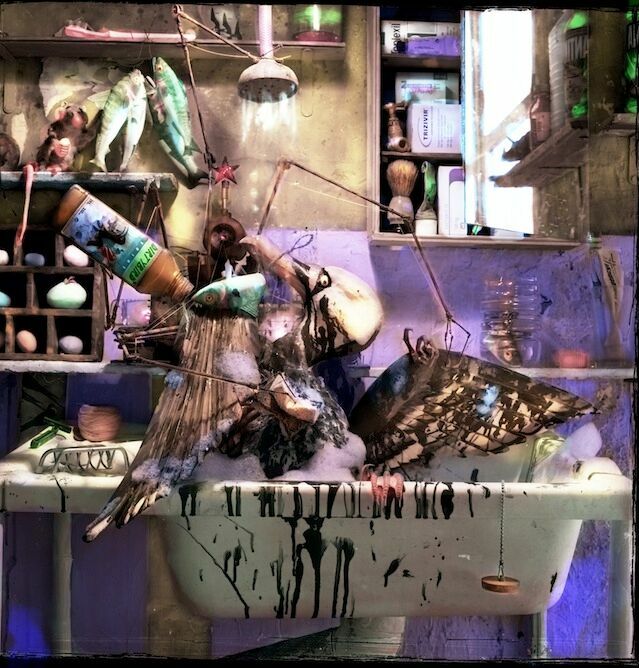 "Minotaur(purple)," 2002, c-print, 18x18 in. 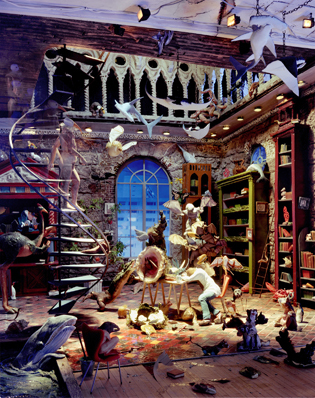 "An Infinite Number of Monkeys," 2004, c-print, 18x18 in. 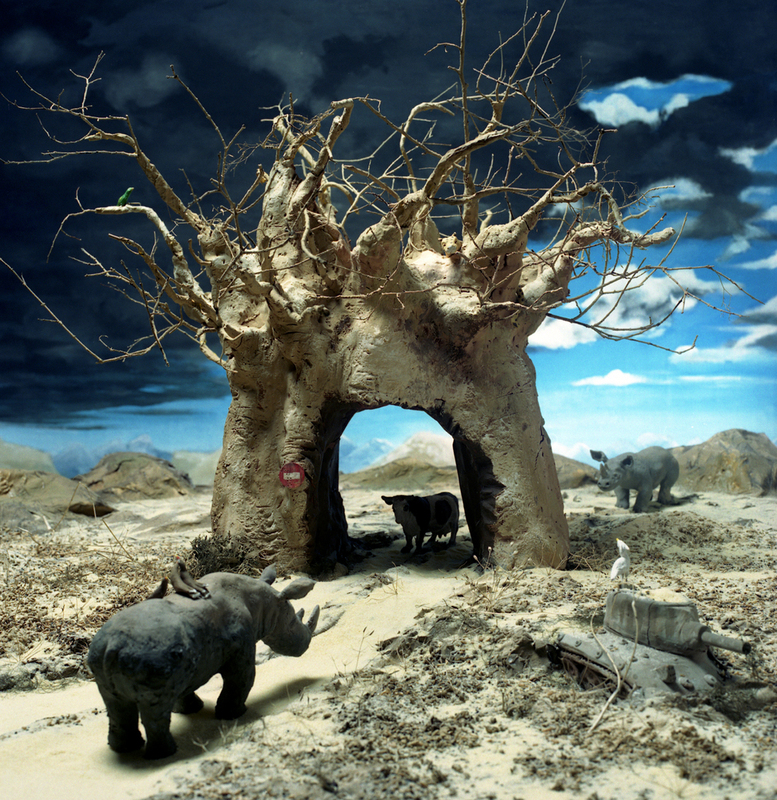 "Elephant Memories," 2003, c-print, 15x15 in. "Through the Glass," 2004, c-print, 18x18 in. "Elena's Boxes," 2005, c-print, 10.25x10 in. "Crocodile Gears," 2006, c-print, 20.75x14.5 in. "Stag Night", 2006, c-print, 20.75x14.5 in. "Girls' Night Out," 2006, c-print, 20.75x14.5 in. "Headspaces 1," 2006, c-print, 20.75x14.5 in. "Headspaces 3," 2006, c-print, 20.75x14.5 in. "Headspaces 4," 2007, c-print, 20.75x14.5 in. "Internal Combustion," 2006, c-print, 20.75x14.5 in. "Reverie of Stone," 2006, c-print, 20.75x14.5 in. "Underneath the Arches," 2006, c-print, 20.75x14.5 in. "The Rational Eye," 2006, c-print, 20.75x14.5 in. "A Dip in the Pool," 2006, c-print, 20.75x14.5 in. "Buffalo Wings," 2006, c-print, 20.75x14.5 in. "We Remember the Sun on our Skin," 2006, c-print, 20.75x14.5 in. "Medusa," 2012, gum bichromate and paint on glass, 12x12 in. "Icare," 2011, drawing cyanotype and gum, 11x11 in. 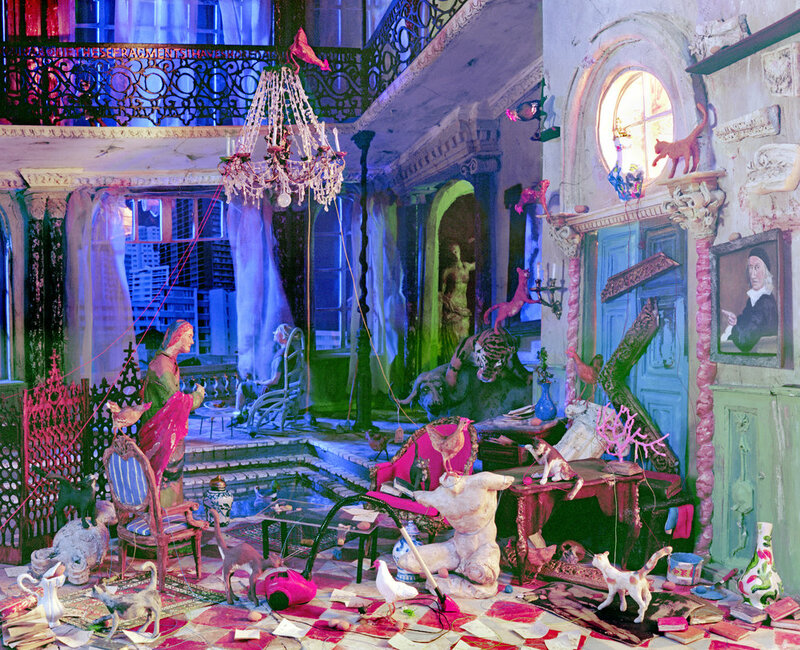 "Diana et Aceton," 2012, color c-type print, 49.25x49.25 in. 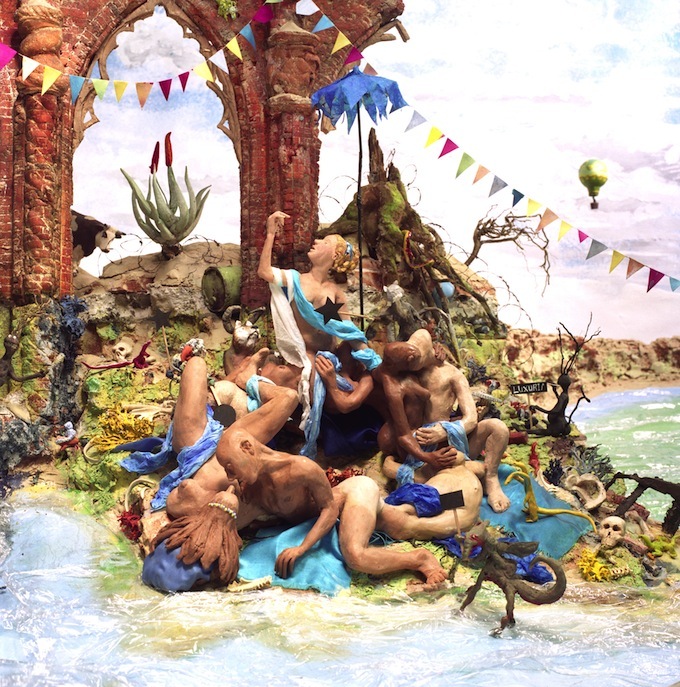 "Hermaphrodite and Salmacis," 2012, color c-type print, 49x49 in. 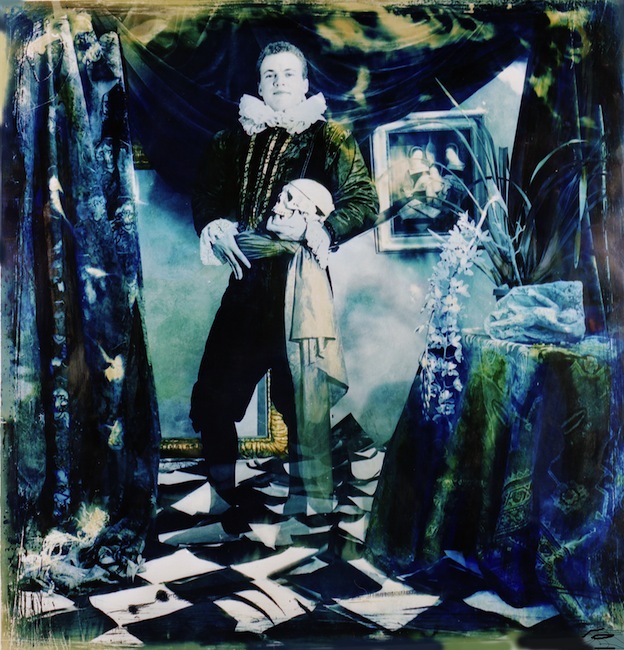 "Acis et Galatee," 2011, gum and cyanotype, 11.8x11.8 in. 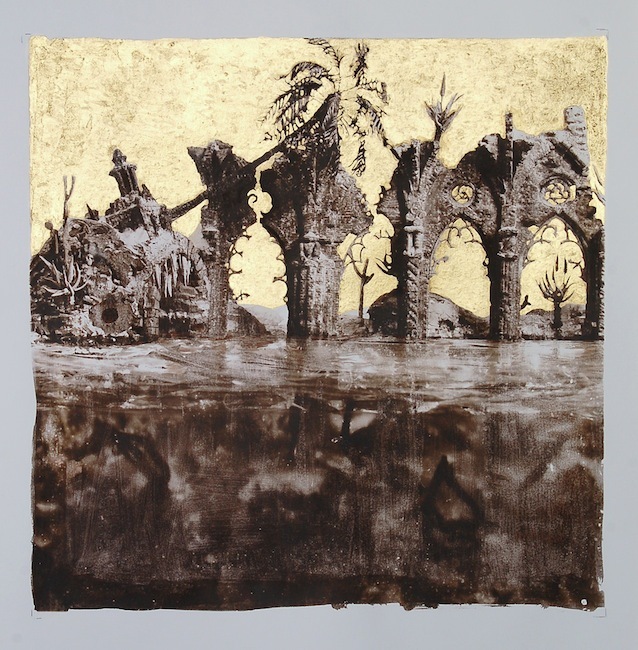 "Dryopé," 2012, gum bichromate and paint on glass, 12x12 in. "Apollon et Daphné," 2011, drawing cyanotype and gum, 11x11 in. "Bacchante," 2012, cyanotype gum bichromate and paint on glass, 11x11 in. "Dryopé," 2011, drawing cyanotype and gum, 11x11 in. "Galatea et Acis," 2012, gum bichromate and paint on glass, 12x12 in. 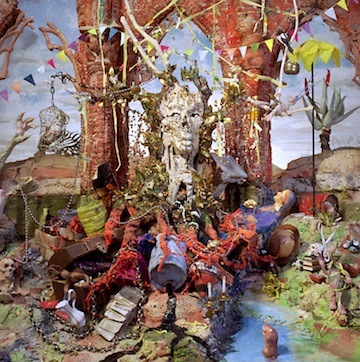 "Perseus et Andromeda," 2012, color c-type print, 49x49 in. 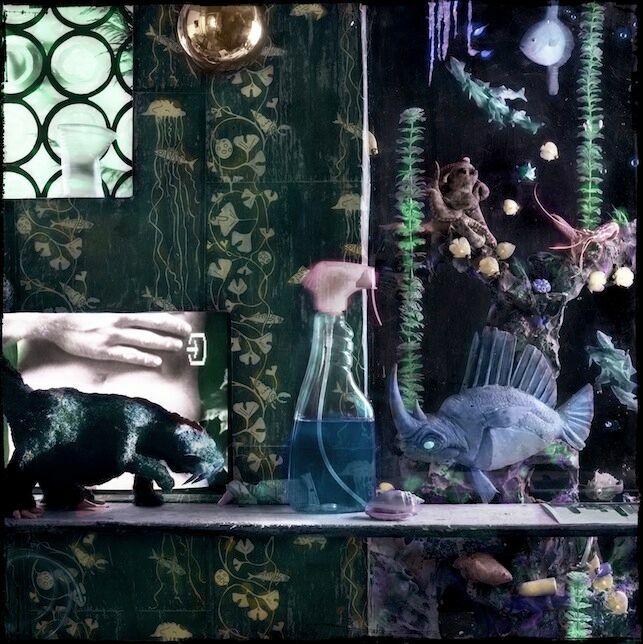 "Hermaphrodite et Salmacis," 2012, cyanotype gum bichromate and paint on glass, 8x8 in. 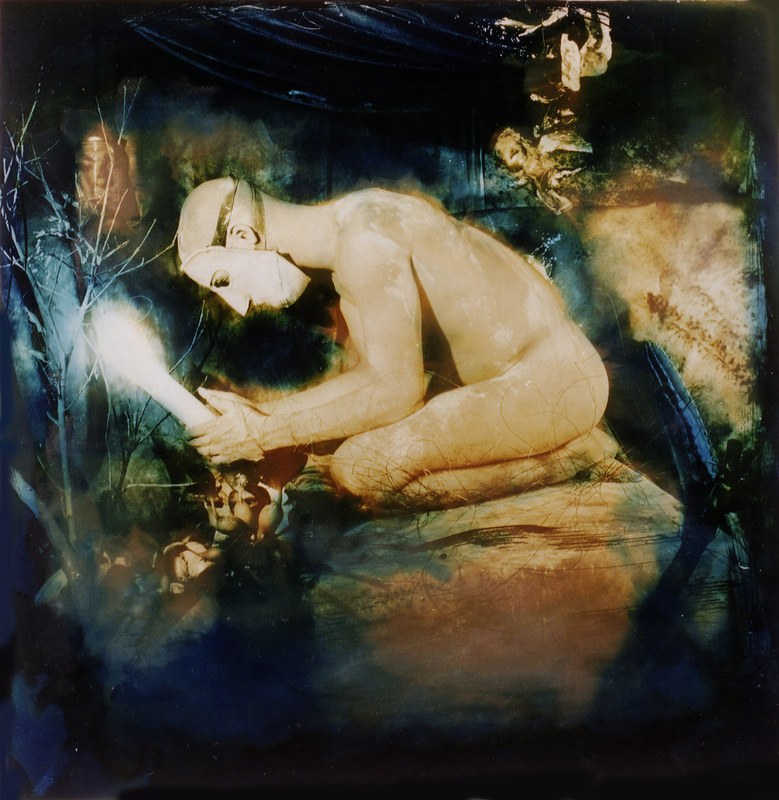 "Icarus," 2011, cyanotype and gum bichromate print, 50x49.2 in. 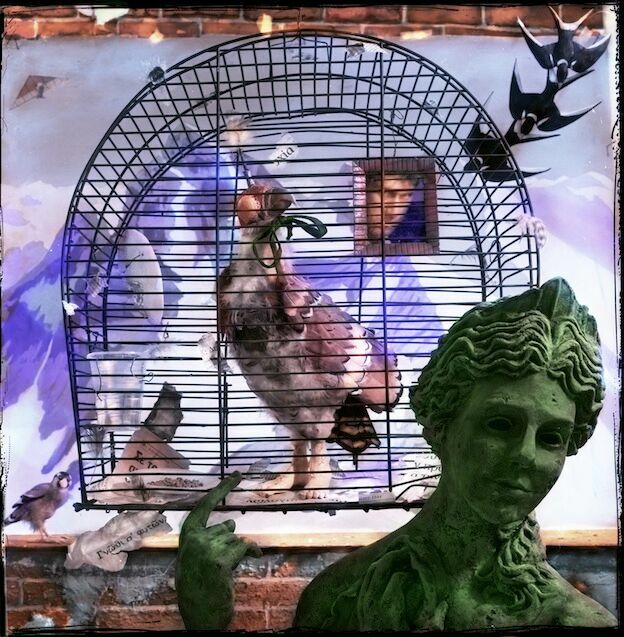 "Aglauros et Jealousy," 2012, color c-type print, 49.25x49.25 in. "Triton," 2011, cyanotype and gum bichromate print, 12x12 in. 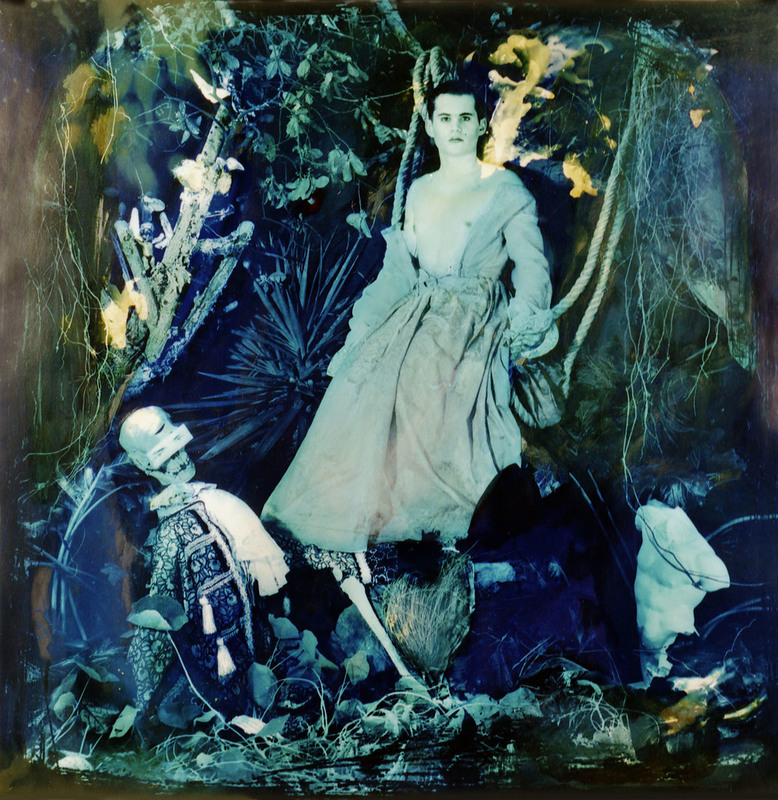 "Lycaon," 2012, cyanotype gum bichromate and paint on glass, 12x12 in.